The slowcore band&apos;s ninth album comes off like a tour of the various twists and turns in direction it&apos;s taken over the years. 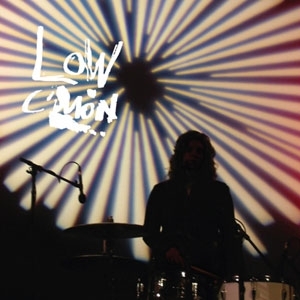 The short version of the pre-release trailer for Low&apos;s C&apos;mon Album was nothing but a still shot of Alan Sparhawk, sitting at a table in front of a microphone with headphones on, slapping the surface in time with music we can&apos;t hear. The space between slaps is long, allowing the sound to reverberate around the church he&apos;s sitting in. I wondered if the trailer&apos;s spartan approach might signal a return to the band&apos;s earliest days, when 39 seconds of slow, cavernously reverberating percussion might have constituted the intro of a song. That was not the case-- C&apos;mon doesn&apos;t retreat from the more fleshed-out, strident sounds Low have spent the last decade cultivating-- but it was telling in other ways. The sound is still lush on the band&apos;s ninth album, but not in the same way as their two Dave Fridmann-produced LPs, Drums and Guns and The Great Destroyer. They recorded this album themselves with co-producer Matt Beckley in that old church, using the room&apos;s natural reverb to open up their sound. 2002&apos;s Trust, recorded in the same room, is a good reference point for the sonic character of C&apos;mon Album, though the low end on this album is much airier. You&apos;d expect Mimi Parker&apos;s drums to benefit from that approach, and they do, but Sparhawk&apos;s guitar also gets a lift-- the tone of his strumming on "Nightingale" is especially striking in its icy beauty. That guitar gets a couple of impressive workouts here, reflecting Sparhawk&apos;s work with Retribution Gospel Choir and on his Solo Guitar album. He hits upon this rough, dramatic sound on a few tracks, making for bracingly ragged lead lines. On "Witches", a drifting, clanging guitar line ties together the decidedly scattershot lyrics. On the groaning, eight-minute "Nothing But Heart", Nels Cline appears on steel guitar, but the song really takes off in its final third, when Parker&apos;s towering vocal appears from nowhere. Parker takes the lead on one of the album&apos;s best songs, "Especially Me", riding a bobbing 6/8 rhythm with a haunting, multi-tracked performance. The very basic instrumental arrangement is almost like a sped-up version of the band&apos;s stripped-down earlier work, at least until a rush of strings carries the song to its closing verse. Sparhawk and Parker showcase their distinctive harmonies on twinkling album opener "Try to Sleep"-- if all this is beginning to sound like a tour of the various twists and turns in Low&apos;s direction over the years, there&apos;s a good reason for that. Having covered a good deal of ground since breaking out of their original slowcore mold, on C&apos;mon, Low seem undecided on a direction forward. As such, C&apos;mon album feels more like a collection drawn from throughout the last decade than a completely cohesive album. This could be viewed as the band sorting through the progress it&apos;s made in search of the next turn-- there are even a few songs that come close to revisiting the glacial sparseness of their earliest music. This is all to say that, if you already like Low, C&apos;mon Album will not disappoint you, and though it&apos;s not their best album, it&apos;s a fairly accessible distillation of where they&apos;ve been.